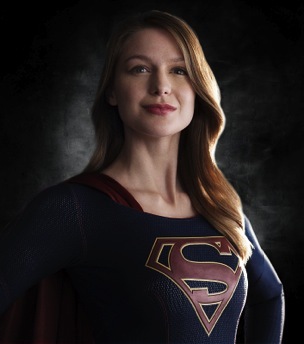 CBS will dip into sister network CW’s bag of comic book heroes by taking a flyer with Supergirl this fall. The No. 1 network in total viewers also is adding four other new series to its revised autumn lineup, including a comedy fronted by Jane Lynch playing another super-sassy character after her long tenure on Glee. Canceled are The McCarthys, Battle Creek, Stalker, The Millers and CSI: Crime Scene Investigation, which will get a two-hour series finale on Sept. 27th with charter cast members William Peterson and Marg Helgenberger returning. Ted Danson, currently with the original CSI, will amble over to CSI: Cyber to join Patricia Arquette. The grandaddy of the CSI franchise premiered in fall 2000 and outlived the cancellations of two offshoots -- CSI: Miami and CSI: NY. CBS again had a largely successful crop of first-year series, with Scorpion, NCIS: New Orleans, Madam Secretary, The Odd Couple and CSI: Cyber all getting second-season pickups. The premieres of some new series again will be delayed until November by Thursday Night Football. In that vein, the network also will have Super Bowl 50 in February. Here are CBS’ five new fall series. 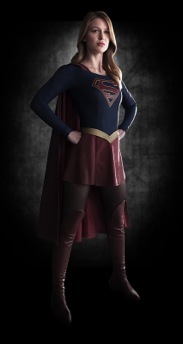 Supergirl (drama) -- After 12 years of keeping her powers under wraps, Kara Zor-El (Melissa Benoist) throws a costumed coming out party in the interests of flying high and fighting crime. She otherwise works in National City for a “media mogul and fierce taskmaster” played by Calista Flockhart. New employee James Olsen (Mehcad Brooks) has just been hired from the Daily Planet as an art director. Executive producer Greg Berlanti also is behind The CW’s Arrow and The Flash. So some super-duper crossover episodes are always a possibility. Limitless (drama) -- It’s adapted from the Bradley Cooper feature film, with Brian Finch (Jake McDorman) newly equipped with the “brain-boosting power of the mysterious drug NZT.” Therefore he’s coerced by the FBI to help solve tough cases. CBS says that Cooper will be a recurring guest star as senator and presidential hopeful Edward Mora. He also has another financial stake as a co-producer of this series. Code Black (drama) -- CBS takes another shot at mounting a successful medical drama with this ER-based heart-pounder. Marcia Gay Harden stars as Residency Director Dr. Leanne Rorish. Angel From Hell (comedy) -- Jane Lynch claims to be a guardian angel sent to shepherd a young driven doctor played by Maggie Lawson. Lynch’s character is described as “colorful and brassy,” traits she perfected during that long haul with Glee. Kevin Pollock co-stars as a dermatologist named Marv. Life in Pieces (comedy) -- Presenting a laugher without a laugh track (a rarity for CBS) about “one big happy family and their sometimes awkward, often hilarious and ultimately beautiful milestone moments.” The cast includes James Brolin, Dianne Wiest and Colin Hanks. Here is CBS’ night-by-night fall prime-time lineup. CBS also has announced two midseason series. Here they are. Rush Hour (drama) -- This “reimagining” of the hit movies supplants Chris Tucker and Jackie Chan with mark-downs named Justin Hires and John Foo. Wendie Malick (Hot in Cleveland) chips in as their “exasperated” boss. Criminal Minds: Beyond Borders (drama) -- Yet another spinoff of a successful CBS crime franchise, this one re-deploys Gary Sinese, who previously headed the CSI: NY knockoff. He plays unit chief Jack Garrett, a 20-year FBI vet orchestrating rescues of Americans in danger abroad.